It’s time to start working on another collection of Wraptures. I’ll be taking them to the new market and setting them front and centre to get some more interest. I’ve noticed the first collection were very swirly and had lots of squiggles. This next lot will be different, mainly because they already have bails ready to hang. 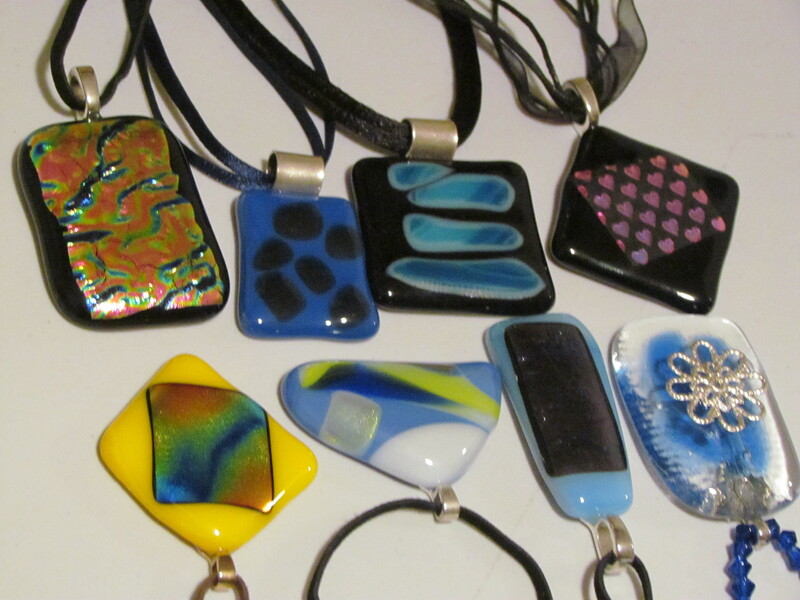 I have a selection of glass pendants that haven’t sold so I will transform them instead. I just need to find out how they want to be made up. ** It may not be all girls and swirls, and the glass is darker, so maybe subtle colours will be needed. 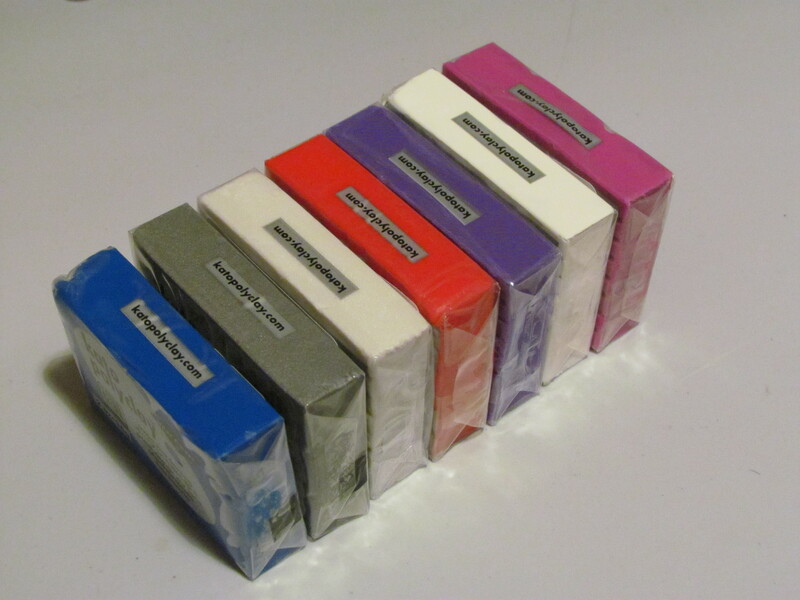 My new clay soon to be moulded.. L-R: Ultra Blue, Metallic silver, metallic pearl, red, purple, white and magenta. And the pendants ready to have a new lease on life. These are a time consuming job as before I even think about conditioning the clay I have to get the design right. Then pick the colours and start work. After that, it’s the beady part of the job. So lots of doodling and looking at nature and the world around me for ideas. ** A few years ago I would have laughed at anyone who said they let the hosue tell them how it wants to be renovated, or the beads how they want to be made up… I have now reconsidered this treain of thought. It is correct. Many times I have had an idea and somewhere in the middle of the design and construction realised that it is all wrong. The bead dictates how it should be worked. And there is no trying to be boss and saying No. The bead is always right. Well, most of the time anyway. 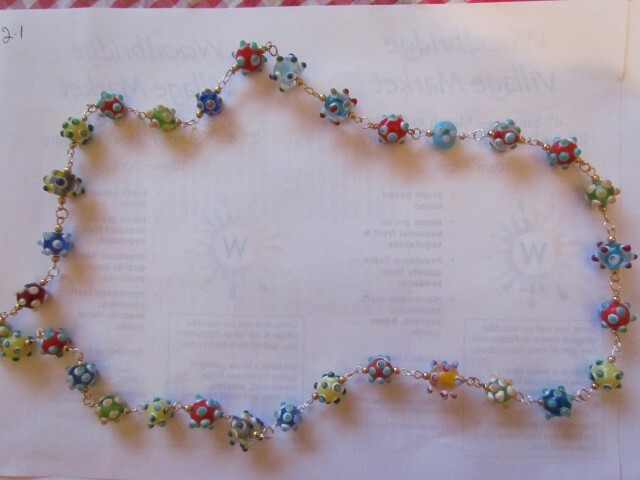 Somethings work well on paper or the bead mat, but when you string them up, it will either work or it wont. I love my glass pieces and with some of the patterns and colours it will be a fun time. Mind numbing and exhausting, but fun. This entry was posted in Bead challenges, Misc craft posts, Mixed Media, Wraptures and tagged beading, clay, collections, dichroic glass, doodling, drawing, glass, patterns, wraptures. Bookmark the permalink.